The Bartercard Foundation was established in 2010 and is a registered charity (CC44001) which supports charities requiring wider national prominence for their great cause. Unlike most charities who aim to pass on 80% of their donations to the cause, with 20% to cover expenses and other costs, 100% of the donations raised by the Foundation go to the chosen charity. 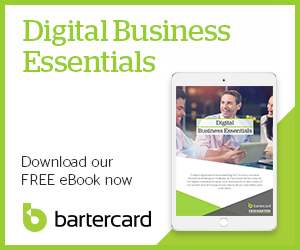 Bartercard New Zealand pays for all the costs of operating the trust. Bartercard Foundation is delighted to announce its partnership with HeartKids NZ, the only not-for-profit organisation supporting Kiwi kids and their families who are affected by Congenital Heart Disease (CHD), right through their life. They have no affiliation with the Heart Foundation. Each week, 12 babies across New Zealand are born with a heart defect. While there are surgical procedures that can improve the heart's function, there is no cure for CHD. HeartKids NZ receive no government funding and must fundraise for all its services, so the Bartercard Foundation is thrilled to be able to step in and help support some of these fundraising efforts. The Foundation has wasted no time in raising funds. Just before Christmas 2016, a fundraising day was held where staff contacted their members, raising over T$32,000 in just one day. If you would like to make a donation to HeartKids NZ, please head to marketplace.bartercard.co.nz/bartercard-foundation, talk to your Trade Broker, or visit www.heartkids.org.nz to find out more about this worthy cause. Ted Midlane | Legal Consultants Ltd.